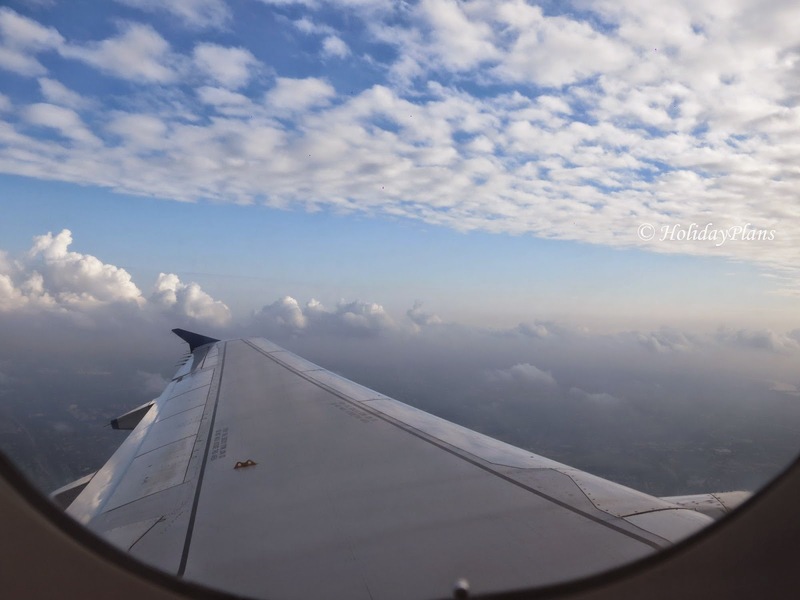 The day had finally arrived when I was going to Ladakh. When I told some of my friends that I am going to Ladakh, most of them were like “Yaar tu Ladkah jaa raha h, mere ko bhi jaana hai yaar”, “Yaar Leh Ladakh bahut sahi jagah h ghumne k liye” etc etc. And here I was on a fine Friday morning, with my bags packed, boarding my Indigo flight 6E-521 to Srinagar from Delhi Airport sharp at 7 am. Yes, we choose to go to Ladakh via Srinagar. 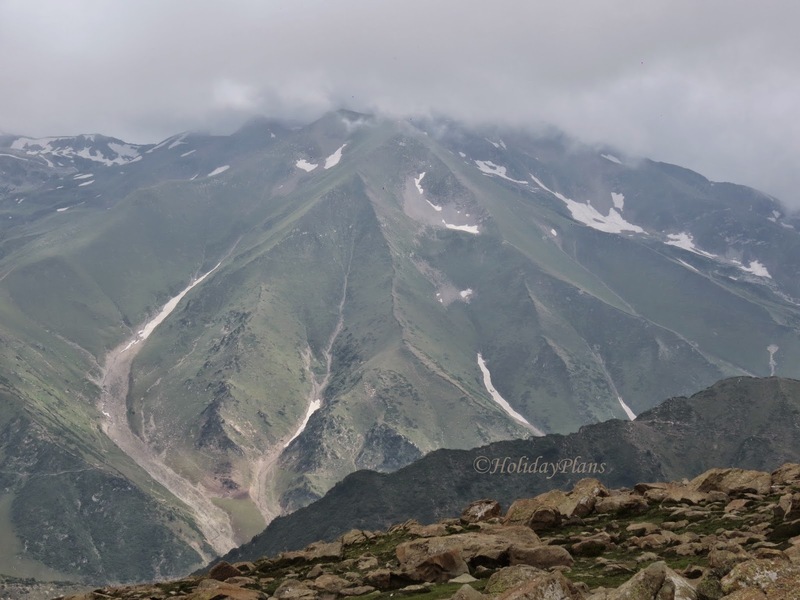 Some people say that going to Ladakh via Manali involves more adventure and more scenic beauty, but I kept it for the next time. We were six friends and a few of them were boarding the flight for the first time in their life and they were somewhat excited about that. Getting an emergency seat increased their thrill. We reached Srinagar after almost 2 hours. For obvious reasons they have a tight security everywhere and you are not allowed to click pics at the airport. A cab was waiting for us outside and we were transferred to a meeting point near Dal Lake. 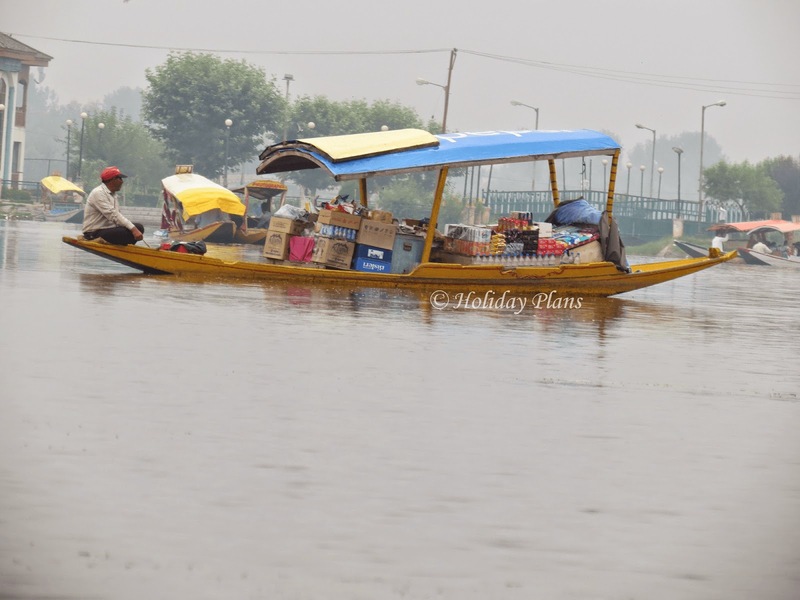 Dal Lake, the second largest lake of the state with shopping markets, houseboats, sellers, floating vegetable market is a must visit destination in Kashmir. Your trip is incomplete without a ride in Shikara in Dal Lake. On our journey from airport to Dal Lake, army men could be seen at every corner of the street. Looking at the scenery on the way, no doubt Kashmir is aptly called Paradise on Earth. 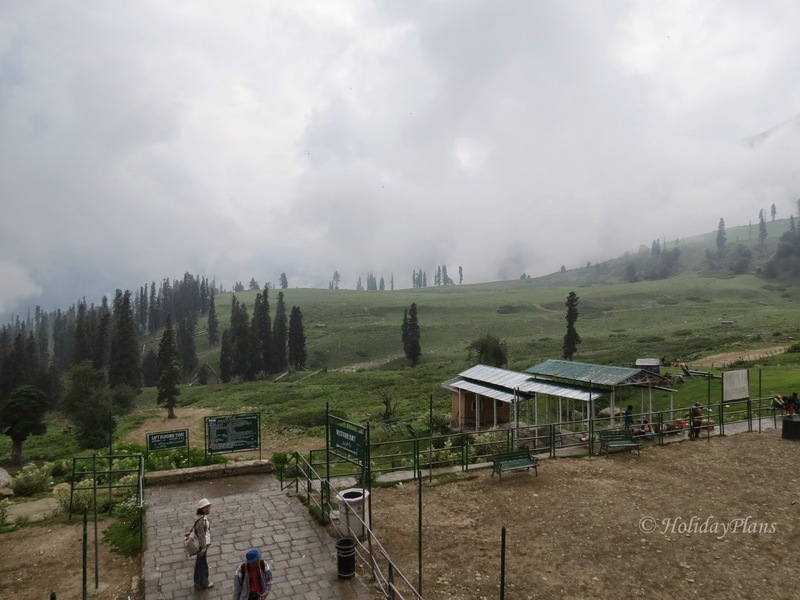 The scenery was altogether different from any hill station you have ever visited in your life. We decided to stay in houseboat for that day. We were transferred to our house boat along with our luggage in Shikara. (Shikara is a unique boat which is used to transfer people and goods across the lakes). We took 2 shikaras. For one Shikara only 4 people can sit at one time with boatman rowing from the upper bow. 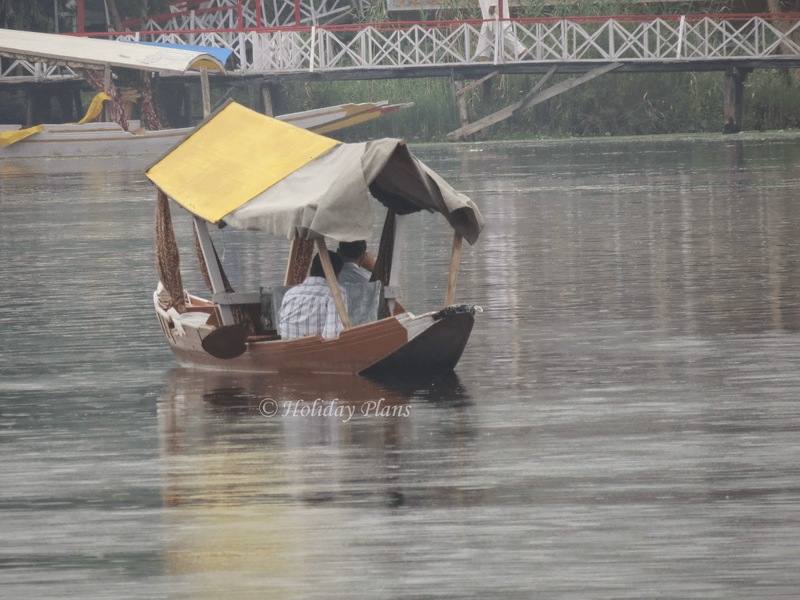 It was a cloud 9 experience to roam around the Dal Lake in a Shikara away from all the work and busy life in Delhi. Please take of your mobile phones and wallets while seating in Shikara. They easily tend to get slipped out of your pockets. Light drizzle had started by now which was like a welcome by Srinagar. While roaming around Dal Lake we decided that we will go to Gulmarg - Meadow of Flowers today. It’s a 2 hour journey from Srinagar to Gulmarg. 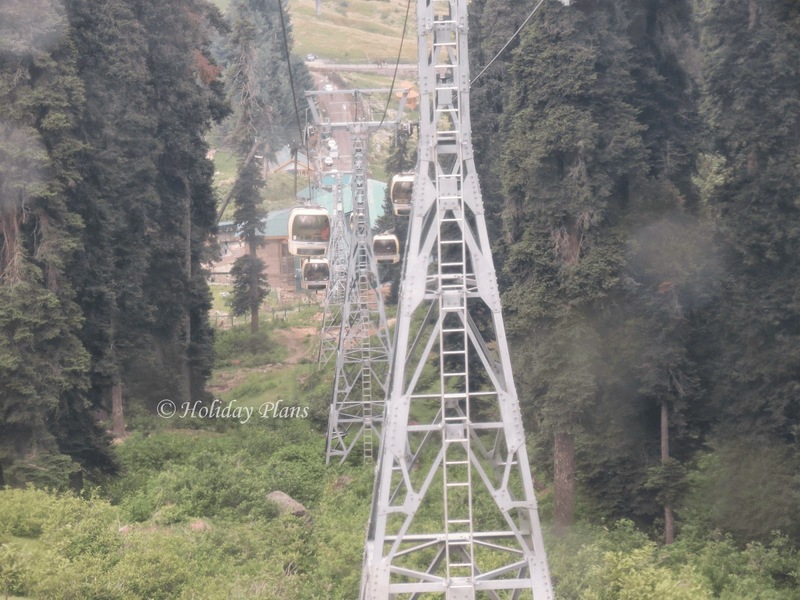 Riding in Gulmarg Gandola – second highest cable car in the world is the best experience we had in Gulmarg. You can see rich flora and fauna from a height of about 3000 metres. The cable car occasionally stops in between and oscillates up and down. We went till reach Level 2 and trekked our way to have fun in snow. People can do sledging there in a nominal amount. You are not allowed to trek very far as LOC (India and Pakistan Line of Control) is nearby and there are army men standing there to stop you from going farther. 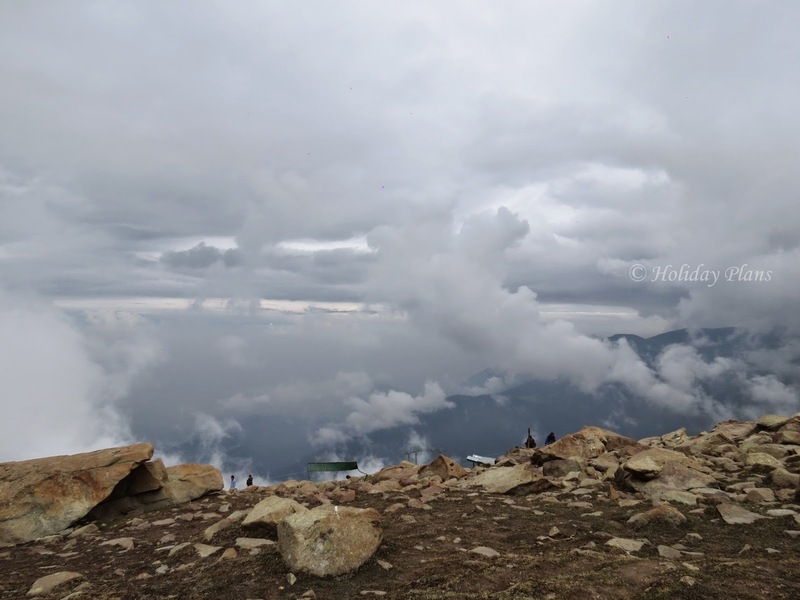 Things you must take with yourself – 1 water bottle per person, snacks, sports shoes, woollen clothes and a camera to capture the magnificent view from the hill at a height of 4000 metres. After 2-3 hours of fun at Gulmarg, everyone was tired and we just sat in cable car and were transferred like parcels. We had Maggi and ice cream at the shops in Gulmarg, which were like energy banks for our tired body. You can see shops which sell pashmina like shawls, I will advise you not to buy from there if you don’t have a good knowledge of the same. 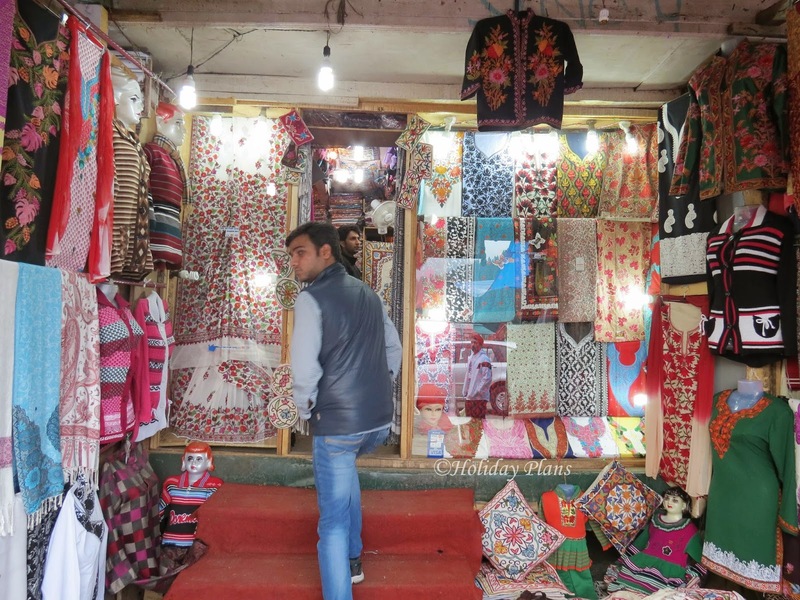 You can easily buy shawls from markets opposite to Dal Lake. And don’t forget to bargain hard! 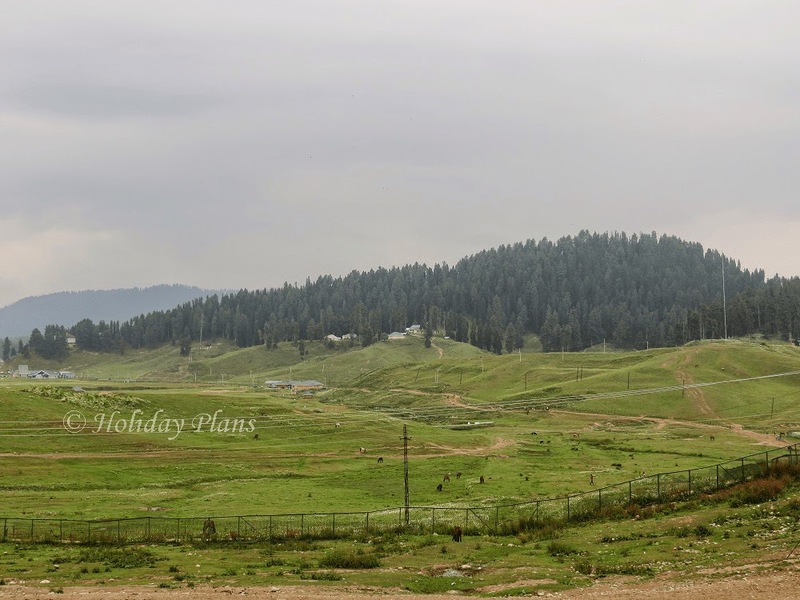 The great view of all the valleys in the Gulmarg can be seen in pictures below. 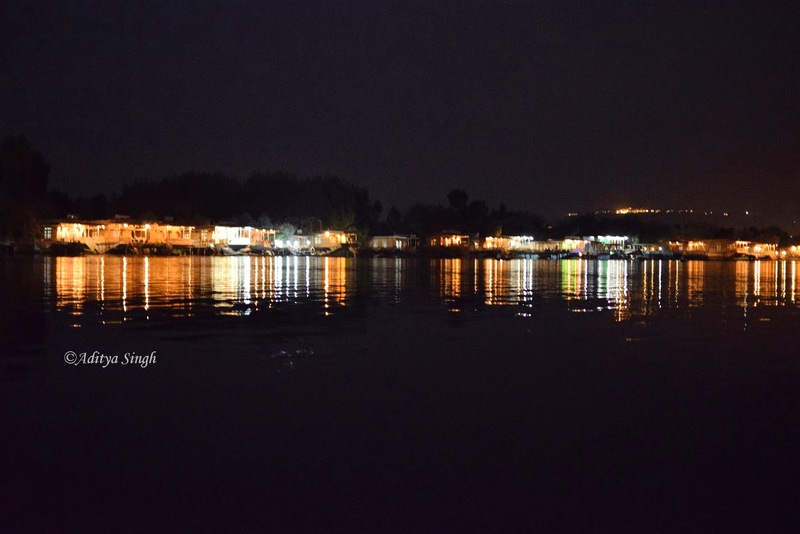 When we came back to Dal Lake, it was already dark here. We roam around for some time in the market looking for an appropriate restaurant for dinner. We got our dinner packed from Karims. The markets are also closed by 9 pm .The shikara riders usually have to leave by 9:30 and. Its better you reach your houseboat maximum by 10 pm. We had our dinner in a lavish way in the houseboat. 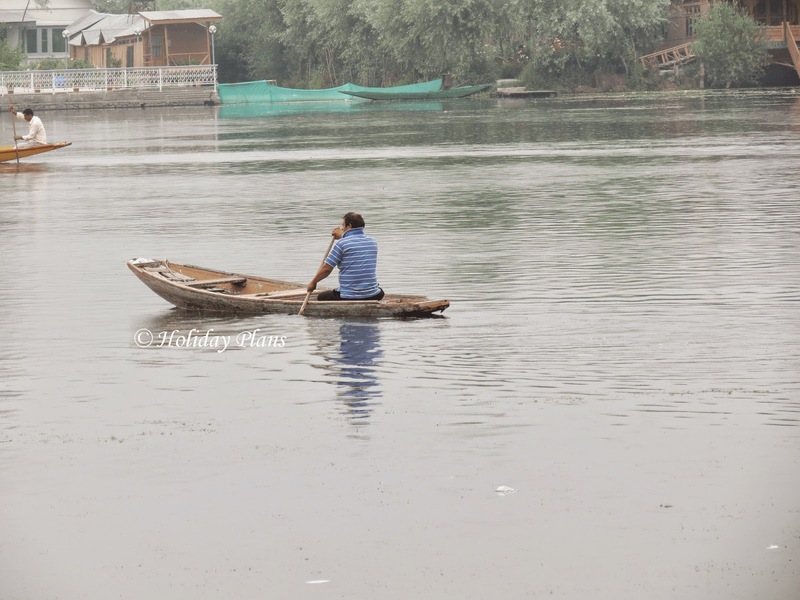 Someone has rightly said "If memories were to become effervescent bubbles, Srinagar’s would sparkle the brightest." We had decided that we will leave for Leh the next morning via Innova. 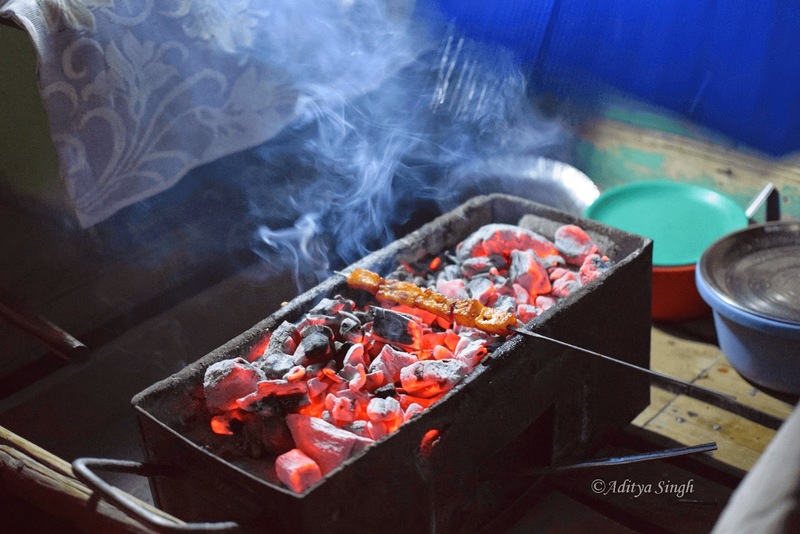 We will cover more of Srinagar in our last part of the journey after coming back from Leh Ladakh. 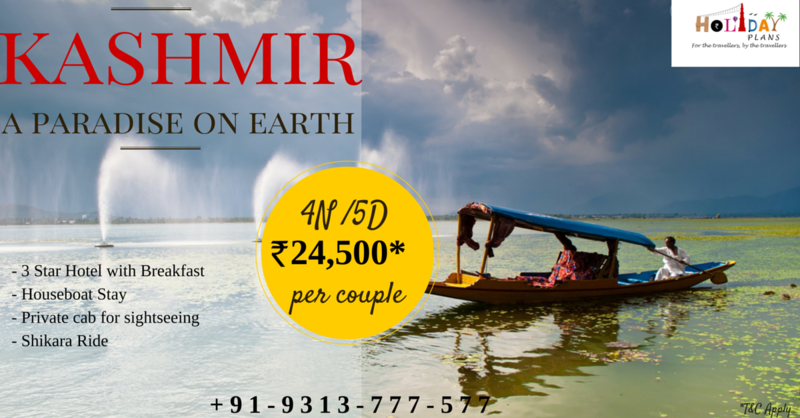 To book a customised tour to Jammu and Kashmir, feel free to get in touch with us. 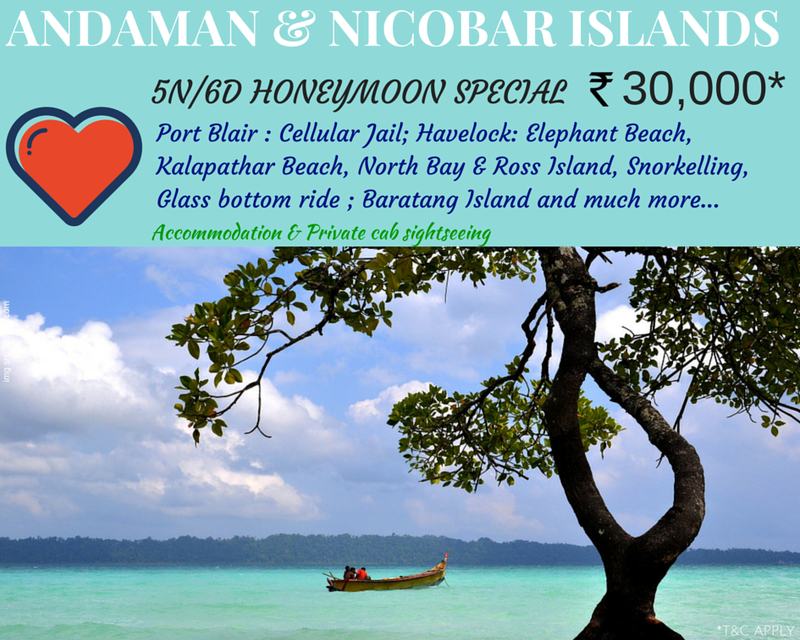 Get your soulmate to this beautiful paradise on Earth. Beautiful House Boats at night. The shikara here is better than shakira there. Heavenly. "The cable car occasionally stops in between and oscillates up and down." What a feel !!!! 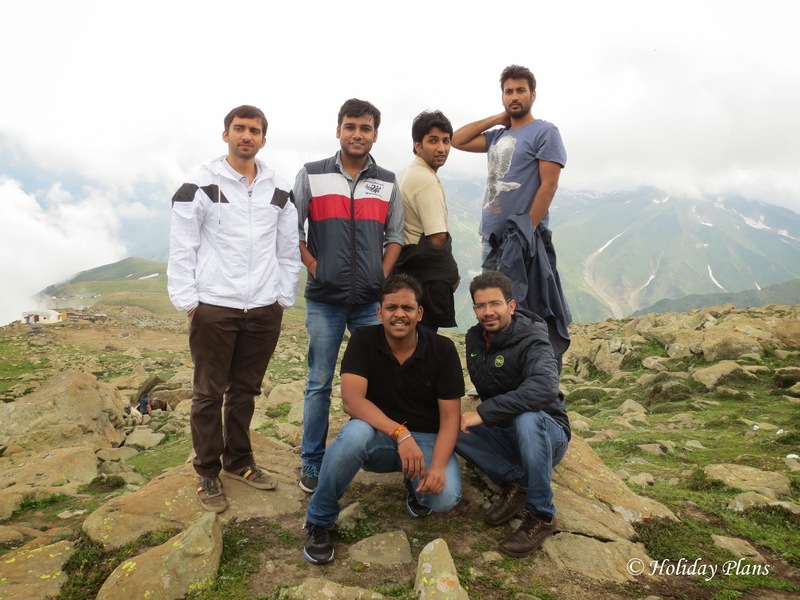 @Ayush : Yes, the highest cable car in the world, and the feeling of riding there is just awesome. Yes the shikara rides are fabullous,you just have to take care of few things I have mentioned in the article. @Shubhorpriyo : Indded Kashmir has it all, we'll be sharing our travel exprience of travelling to 2 districts of Ladakh- Leh and Kargil. well written article,the essence of kashmir can be taken out from ur words.